Whenever I see photo mosaic, all I can think of is how hassle was the creation process for the person created it. But in contrary mosaic creation can be as easy as counting 1, 2 3. 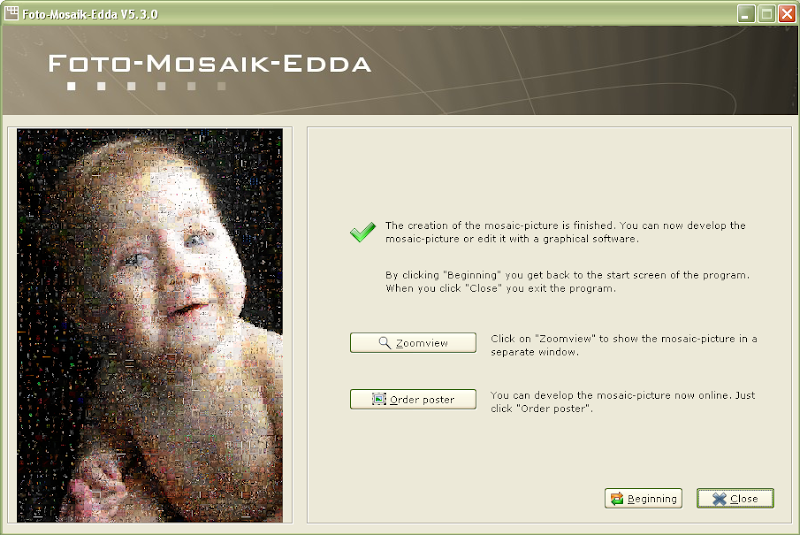 This is of course with the use of a freeware called Foto-Mosaik-Edda. Foto-Mosaik-Edda is freeware (this means you don't have to pay for it) that can create mosaic-pictures that are composed of many small pictures (tiles), from your own photos. To use it you need to specify the directory of your images (recommended number is 2000 or more) and it'll scan through and create a base set of "tiles" for your mosaic (it can take minutes to finish). Once all pictures are scanned, you can pick your primary photo to be the mosaic image. 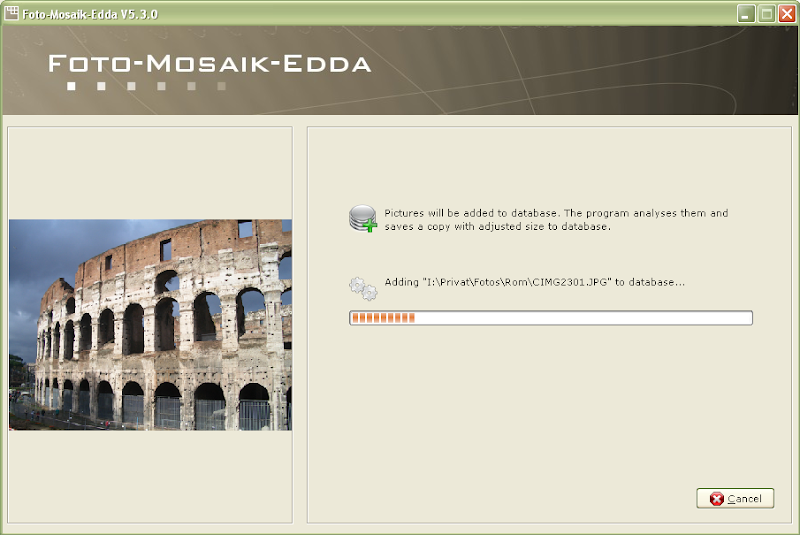 Here are some screenshots of the Foto-Mosaik-Edda. Download this cool software via sixdots.